Here's an exercise for you: pick something with which you're reasonably familiar (such as a band, actor, sports team etc), and then try to select what you think to be their five most important moments. For those three categories above, you might riffle the grey matter for the five standout albums, films, or players, for example. Some are fairly easy; Bruce Willis, for instance (Die Hards 1-5, in that order). Some, not so; Maroon Five (…er…). It's hugely subjective, of course, Maroon 5 fans - that's what makes it so interesting! Take breweries. Pick one and come up with a list of the five most important beers that they have released. Again, this depends on your interpretation of the word 'important'. It could be the five best, in your opinion; those that have meant the most to you, as you've learned to appreciate what that particular brewery are about. Or, alternatively, it could be the five that you think have defined that brewery, to you and others, as they have developed on their beer-making journey. The first ever BrewDog beer, and still our best-selling flagship; you'd probably expect to see Punk on this list – and you'd be right! But Punk IPA is more than just a focal point; it's a great metaphor for the development of BrewDog as a whole. It reflected the influences of James and Martin, and the frustrations that led them to start the brewery. It also evolved as they did, changing in 2011 to gain the benefits of dry-hopping. Since then, it has led from the front as our exports skyrocket, becoming the biggest-selling IPA in Scandinavia. Talking of early influences, our admiration for Stone Brewing Company led to one of our first major collaborations with Escondido's finest. Following a brewing visit to California (which yielded Juxtaposition Pilsner), having the guys return the favour at Fraserburgh was a fantastic moment. The result? A black double Belgian IPA by the name of Bashah. Although our barrel-ageing programme had already begun - with the Paradox series - ageing Bashah on different ingredients (raspberries and tayberries) sparked something in us, and became a forerunner of the many barrel-based adventures that were to follow. Even though we'd been brewing for two years, Tactical Nuclear Penguin was by far the most involved beer we'd ever made – it was aged for a year and a half before we even started, for instance! Freeze-distilled to a penguin-perfect -20ºC and finishing up at 32%, the (then) world's strongest beer magnified the first stirrings of the debate on minimum pricing, and kick-started the abv-wars. A lot of people took TNP really seriously, but it was never intended that way, which is partly why we packaged each bottle inside that ultimate collectors-item; a hand-sketched, penguin-toting paper bag. The first of the limited-edition Abstrakt series had hit the shelves the year before, and become popular straight away, but it was the fourth release that truly seemed to grab people's attention. A 15% coffee, cacao and naga chilli-infused imperial stout, AB:04 swiftly became our most sought-after beer, and the 3,200 bottles produced vanished before our very eyes. It was so well received that the decision was taken to re-brew it – and as Dog A/Dog B, this particular Abstrakt went mainstream, where it has remained to this day. Our supporters have moved us on in so many ways, but it was cool to see how you responded when given the reigns entirely with regard to a new beer. Each stage of the brewsheet for #Mashtag was compiled via an online, multiple-choice selection process, from the base malt bill right through to the eventual name and bottle label. We didn't know where it would lead, but #Mashtag demonstrated where crowd-sourcing can take you – a 7.5% kiwi-hopped brown ale, brewed with hazelnuts and oak chips – oh, and also a neat way to socially involve BrewDog drinkers with our beer-making process, from top to toe. Yeah, we're tooting our own trumpets – but each of these beers marks the product of a point in time for BrewDog. Taking 5 out of 215 is no easy task, though – do you agree with our list? 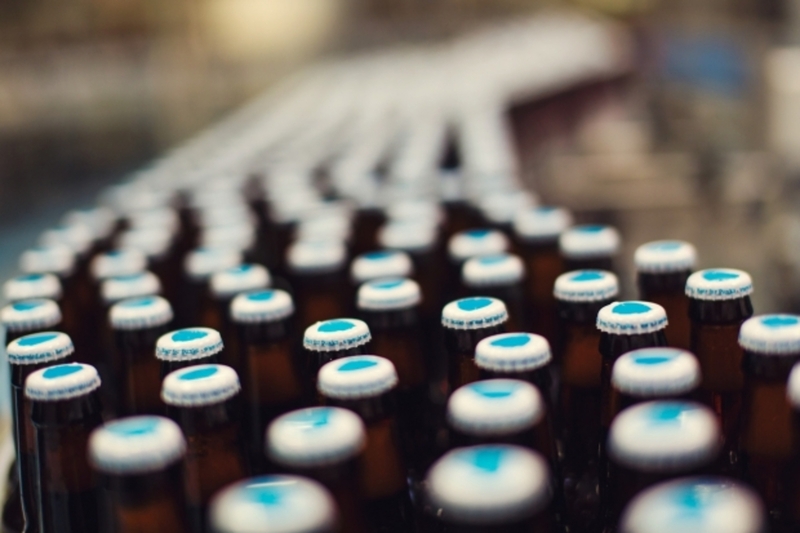 What do you think the five most 'important' beers are that BrewDog have made?